By Marla Goldberg for eJewish Philanthropy, an online publication serving the professional Jewish community. This is the eighth in a series of articles about lifelong Jewish learning, based on work of the Chicago Adult Jewish Learning Initiative. Over the past year, I have participated in the Chicago Adult Jewish Learning Initiative, spearheaded by Spertus Institute for Jewish Learning and Leadership with support from the Jewish Federation of Metropolitan Chicago. In addition to the valuable sessions on a range of topics, from program evaluation to lay-professional relations, the initiative tackled the challenge of developing a community-wide collaborative program, intended to address the findings of a market analysis and needs assessment and to set the groundwork for multi-organization collaborations to expand capacity and realize economies of scale. how to encourage the responsiveness of already overscheduled programming professionals. Throughout the process, we learned more about what additional resources program participants were interested in having. These included bibliographies, web links, videos of the presentations, related articles, and texts. Since the pilot program, materials have been loaded to a special web page that includes video recording of the lectures, an associated bibliography and links to online resources, as well as materials from a related program on the theme of resilience (course syllabus and video recording of two lectures by distinguished scholar Dr. Kenneth Pargament). We also received additional feedback topics of interest to participants and preferred times and locations for programs. the importance of convenient scheduling and proximity to people’s homes, with special interest in suburban offerings. In addition to the formal program, the storytellers — selected through an application process that included a detailed registration form, brief outline of their story, and a sample voice sample — received several group training sessions with a professional storyteller. Outside of the ballroom, where the storytellers would weave their crafted tales, we offered light appetizers and opportunities for informal conversation on program-related themes. Remembering the interest of participants in collateral material and associated resources, inside the ballroom we were greeted with nicely decorated tables, including lovely vintage-looking Israeli-themed postcards in the center — later used to invite attendees to share their own personal chronicles and anecdotes involving Israel. Everyone was given a decorative reusable grocery bag (so Israeli) and the lights were dimmed appropriately for the production. A video recording of the full program, along with other resources compiled by staff of Spertus Institute’s Asher Library were available after the event on the Spertus website (spertus.edu/voices). The result was a powerful program that spoke to participants in uniquely personal ways and showcased the diversity of Israeli life and experiences as well as the complexity of perceptions of Israel and Israel-Diaspora relations. Listening to each storyteller offered the opportunity to observe the impact of Israel (its people and land) upon them. It was as if each person was being fitted for eyeglasses — which frames suited the shape of their face and head, along with which ones demonstrated their respective personalities. We had a window into each life and their respective memorable happenstances — where they were, as well as when and how the occurrence became imprinted upon them. It appeared to be a self-reflective and evolving process of making meaning over time. This conversation is a constant, at least in my world. In my Women of Reform Judaism volunteer work, I am charged with our Israel Education and Advocacy portfolio and this committee has adopted the mission: “Enhance our North American connection to Israel through increased understanding of and involvement in Israeli culture and life.” To date, we have partnered with our Israeli counterparts and explored books, movies, food and ritual observances together. We continually increase our learning, which in turn, leads to strengthening our collective bridges and keeps our love of Israel: its land and people, alive. This collaborative project inspired me, and the other participants, to think outside of the proverbial box, making this year’s holiday of Yom-HaAtzmaut truly meaningful in new ways. Witnessing others’ journeys only served to deepen my emotional connection to Eretz Yirael. The project reflects the needs identified and being addressed by the adult Jewish Learning initiative. All in all, it was a wonderful way to set the stage for Chicago’s upcoming commemoration of the 70th anniversary of the State of Israel…or to coin an obvious phrase, “Next year in Jerusalem….” Kein Y’hi Ratzon. May it be G-d’s will. 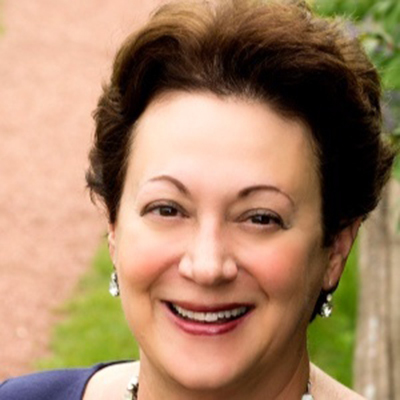 Marla Goldberg is a nonprofit administrator, educator, coach, and mentor. She is a graduate of Spertus Institute’s MA in Jewish Professional Studies program. Spertus Institute for Jewish Learning and Leadership offers dynamic learning opportunities, rooted in Jewish wisdom and culture and open to all. Graduate programs and workshops train future leaders and engage individuals in exploration of Jewish life. Public programs — including films, speakers, seminars, and concerts — take place at the Institute's Michigan Avenue facility, in the Chicago suburbs, and online. Spertus Institute is a partner in with the Jewish United Fund in serving our community. Spertus Institute partnered with the Jewish United Fund of Metropolitan Chicago to conduct a market study and needs assessment of adult Jewish learning in the Chicago area. The study contains useful information for other Jewish communities interested in improving lifelong Jewish learning is provided. The study was conducted by Dr. Joshua Shanes. Back row from left: Dr. Dean P. Bell, Bruce Ogron, Dan Tatar, Michael Simon, and Scott Whitehair. Front row: Gili Sherman, Dina Elenbogen, Debi Lewis, Sarah Leibov, and Shaily Hakimian.